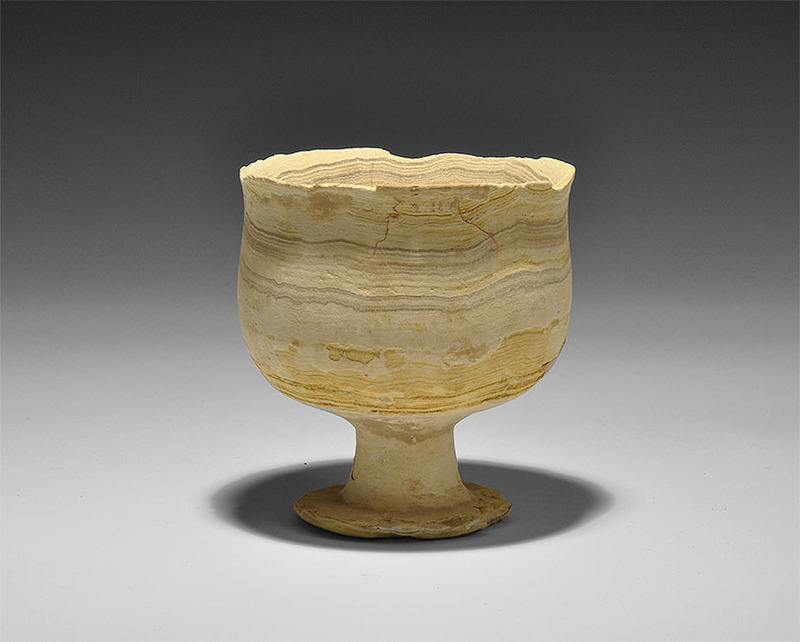 Elegant footed cup, which archaeologists traditionally call “chalice”, carved from a monolith of calcite, a type of alabaster. This form is classic to the repertoire of the Middle Bronze Age in this region. The chalice has cylindrical and slightly curved walls resembling a tulip and rests on a high pedestal. The material is of a yellow-brown colour. 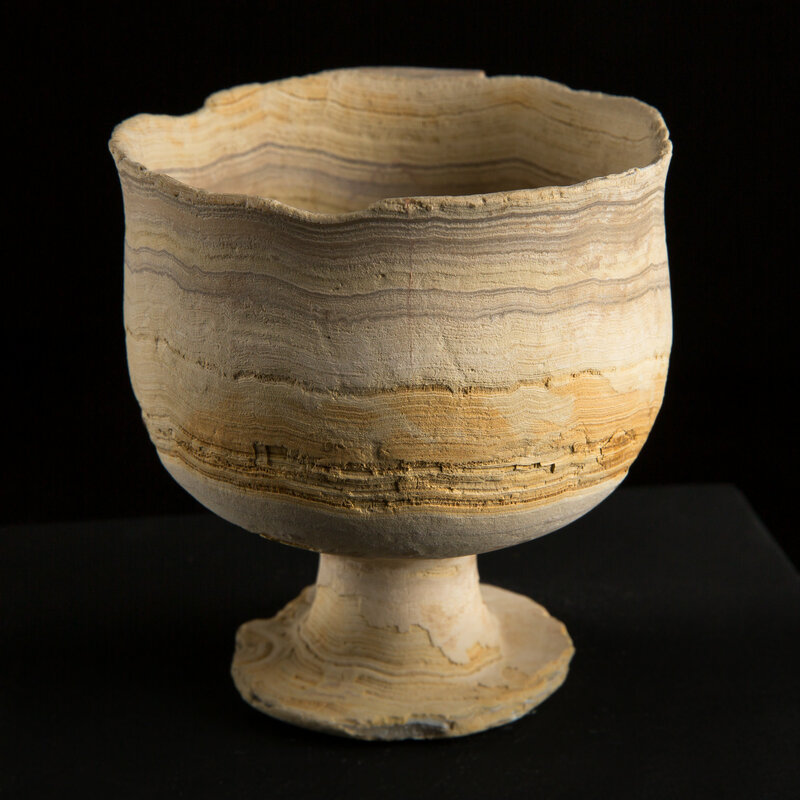 Alabaster was a very popular stone during the 3rd and 2nd millennium BC. 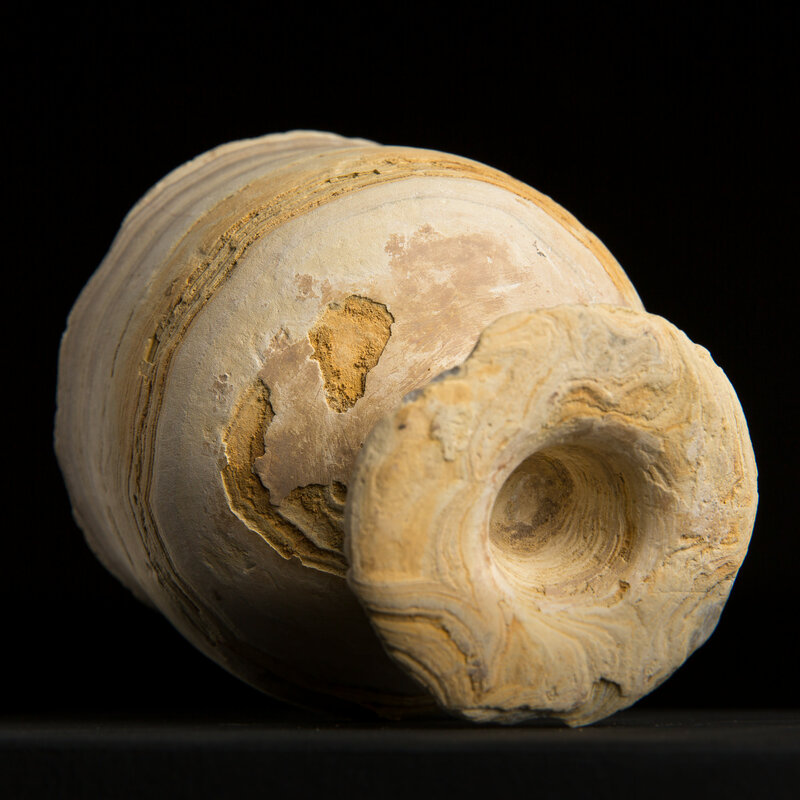 Vessels of this kind have been found in Cyprus, Egypt and Mesopotamia. The lip of the neck is irregular. There are traces of erosion and minor deficiencies due to age. Very fine condition. The region of Bactria straddles modern-day Uzbekistan, Tajikistan and Afghanistan and is rich in countless mineral and agricultural resources that have allowed settlement in this region since the Neolithic period. 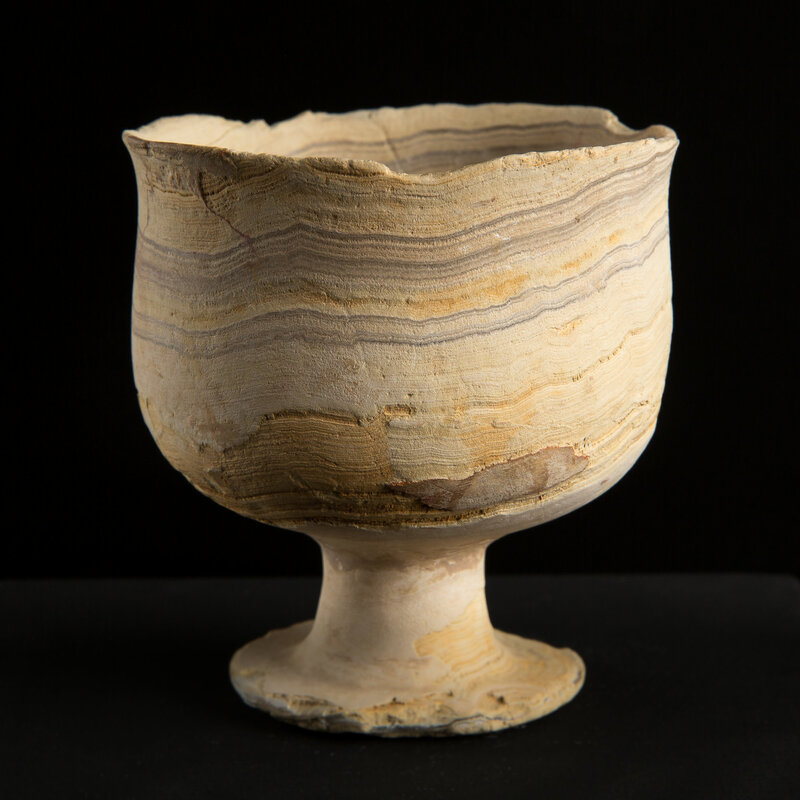 The use of these vessels remains unknown: ritual vases, containers used to burn perfumes, used as gifts between people of status, all hypotheses remain possible. It was in Bactres-Zariaspa that Prophet Zarathustra would have found refuge and during the Iron Age that he spread his doctrine gathered around a holy book, the Avesta. Frenchman Abraham Anquetil-Dupeyron, who discovered this very ancient monotheistic religion that was unknown to the Europeans, translated this book in the 18th century.